Marlee Matlin will be leaving Spring Awakening for prior commitments. According to Broadway.com, Marlee Matlin will be leaving Broadway to pursue her ongoing television career, her last day will be on January 10th, 2016. While her experience with Spring Awakening was her first ever on Broadway, she has played an important part in getting Spring Awakening huge exposure on Broadway. 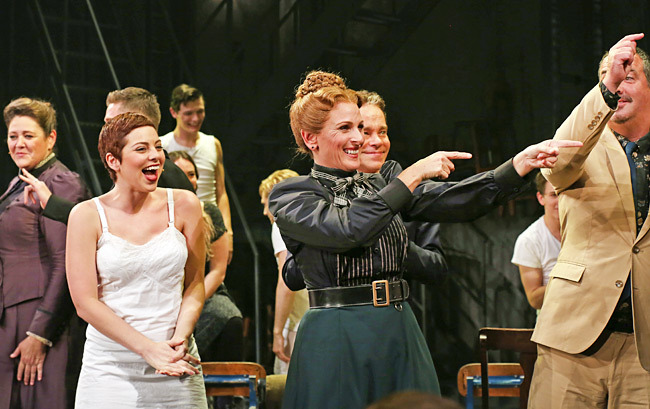 Her sidekick, Camryn Manheim will also be departing from Spring Awakening as well due to prior commitments. While the production is set to run until January 24th, 2016, Micahel Arden production team confirmed that understudy Alexandria Wailes and Elizabeth Greene will be taking on the roles for the rest of the production. While the production in New York will end on January 24th, 2016, Spring Awakening is far from being officially over; in fact, they will be going on tour after this production. However, that national tour will not start until 2017. As far as we know, no official city dates has been announced, however, a statement from the producers quoted directors of the Seattle Theatre Group and the ASU Gammage Theatre in Tempe, AZ, as expressing “excitement” about the tour. The production will go back to LA first and then the production will schedule out the full schedule for the upcoming production in 2017. Douglas C. Baker is quoted as saying in the Playbill.com article that, “We are looking forward to having it back in Los Angeles, where it began”. With less than 52 performances left, and 34 performances left with Marlee Matlin and Camryn Manheim, it will be #andthentherewerenone until 2017!